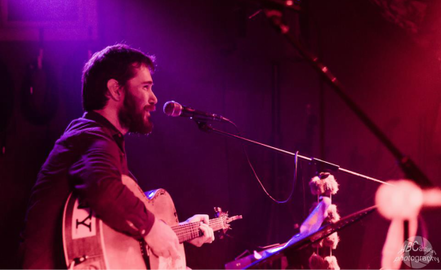 Malachy Tallack is a singer-songwriter from Shetland. He has released four albums and one EP, and has played support for numerous artists, including Runrig, King Creosote, Karine Polwart, Newton Faulkner and Matt Cardle. ​​In addition to his music, Malachy is also a writer and editor. His debut novel, The Valley at the Centre of the World, was published in May 2018. His non-fiction book, Sixty Degrees North, was featured as a BBC Radio 4 Book of the Week in 2015. ​You can sign up to Malachy's mailing list at the bottom of the page.